Need A Chiropractor in Athens? Do You Need A Chiropractor in Athens, Georgia? 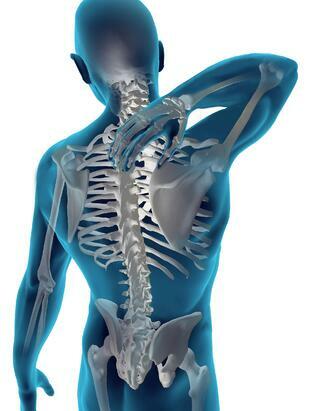 Are you in need of a Chiropractor in Athens to help with your Neck Pain, Back Pain or Car Accident Injuries? 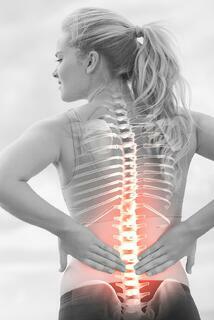 The Doctors of Chiropractic at The Arrowhead Clinics may be able to help you. Not only do we help with relieving your injury symptoms but also correcting the problem. Chiropractic Treatments produce some of the most rapid and longest lasting results following an any sort of injury or chronic pain condition. At Arrowhead Clinics, we have been serving the Athens, Georgia community with the highest quality Chiropractic Care for over 40 years. How Can Your Chiropractors In Athens Help Me? Our Athens Chiropractic pain management and corrective therapy treatment clinic is well suited for victims of acute pain conditions or chronic issues. The treatment approach we take is safe and always all natural. This is one of the reasons why our patients receive regular referrals from their primary care physicians to come into our office or friends and family members who have gotten well using our individualized treatment options. The goal of chiropractic therapy is to help your body restore its natural flexibility and mobility while at the same time alleviating residual achiness, soreness, and stiffness. The results our patients see are a drastic reduction in acute pain symptoms and inflammation, increased Neck and Lower Back ranges of motion, elevated mental clarity and better sleep throughout the night. Chiropractic Adjustments or Manipulations: Manual adjustments by a doctor of chiropractic provides back pain relief or neck pain relief by taking pressure off sensitive neurological tissue, increasing joint range of motion, restoring blood flow, reducing muscle tension, and creates a series of chemical reactions in your body that act as natural painkillers. Pelvic Stabilization Drills: When flat feet, subtalar instability and/or leg-length deficiency are present, our Doctors may prescribe a small heel lift in your shoe for the short leg side to create stability at your pelvis and correct your walking pattern, this in turn should help alleviate some of your nagging back pain symptoms. Traction and Decompression: A traction massage involves you the patient lying face up as a system of rollers move strategically about the back, all the while stretching and massaging the muscles that are causing your Back Pain. Our Chiropractors may use other traction devices that assist in stretching the spine and decompress the discs, which helps remove pressure that has built up on sensitive nerve roots. These therapies are perfect for those with Bulging Discs, Herniated Discs, Degenerative Disc Disease, Sciatica and more. Electrical Muscle Stimulation Therapy: Many of our patients rave about electrical stimulation therapy, especially those with severe Muscle Cramping and Spasm. This technological driven Back Pain therapy minimizes inflammation directly in the muscle or joint, settles muscle spasms down and relieves chronic pain symptoms. Our Athens Chiropractic Care Clinic is scientifically designed to help your body restore its natural capabilities. Click the link below to schedule your Free Consultation. Before you begin your Free Chiropractic Consultation, you will be asked to complete forms that will help provide a background regarding your past and present medical history, conditions, and symptoms you are experiencing. Based on what the doctor found, they will establish specific goals based on the X-ray and Exam Findings for your individualized treatment plan. Do not spend any more time in pain! Our Athens office is equipped with the necessary technology, and skilled professionals to treat your pain and injury conditions. If you need a Chiropractor in Athens, we are here to help on your road to recovery.